Collective Films, Installations/Screenings, Little Shop of Animated Horrors, Local Sightings, SEAT Comments Off on SEAT at Local Sightings! The Seattle Experimental Animation Team presents Bloodbath & Beyond: The Little Shop of Animated Horrors. This SEAT collective film, based on the 1960 film The Little Shop of Horrors retells the classic tale of a plant that came from outer space and got a taste for blood. For this collective film, SEAT split the original film into sections and approached the project in the classic style of the game “exquisite corpse.” Each animator took a 9 minute segment of the film and condensed it into 1 or 2 minutes of animation. This film will be screening in an installation, in the lobby of the Film Forum, during opening night of Local Sightings. 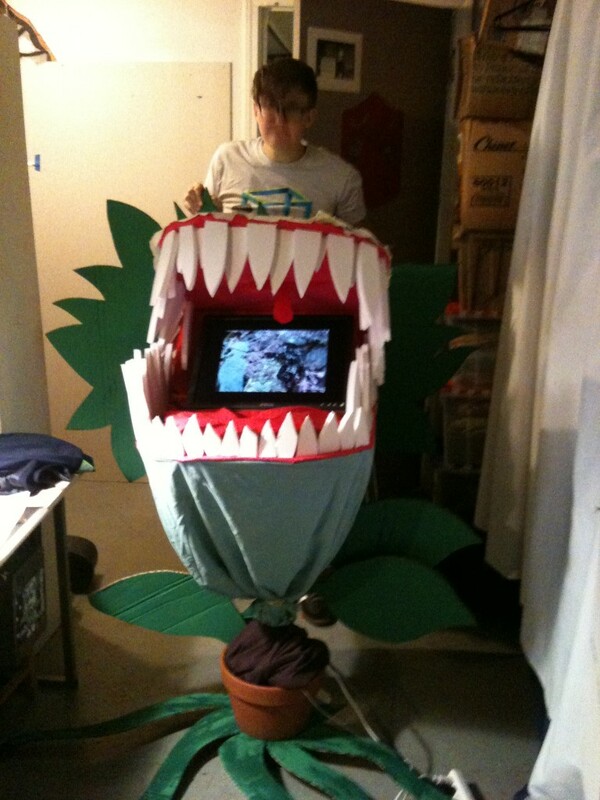 Do you dare to stick your head inside the Audrey 2 and enjoy the sights!? Find out more about Local Sightings! SEAT was invited to create an installation in the lobby of the NW Film Forum during their annual festival Local Sightings, September 28-October 4, 2012. 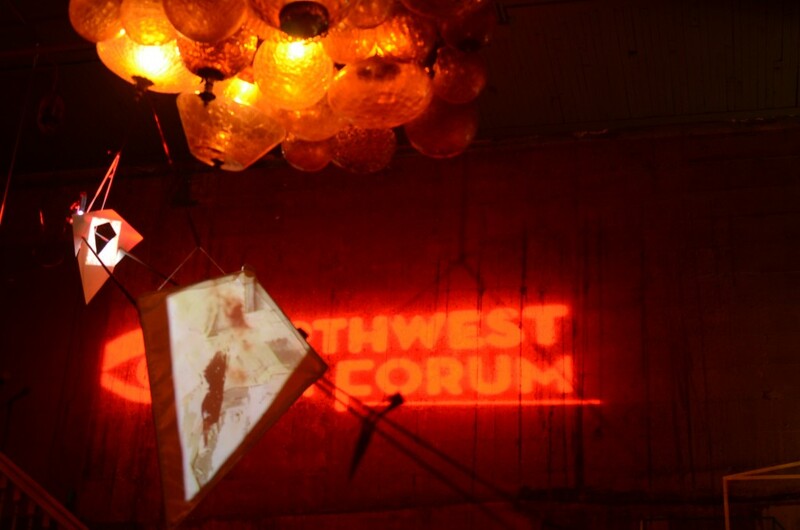 We installed three of our ‘flying cinema’ kites designed by animator Webster Crowell from the lobby’s high ceilings. 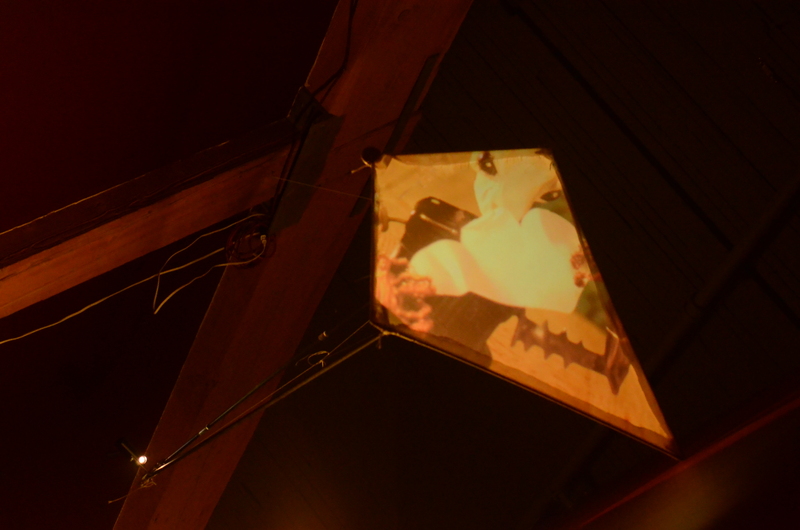 The kites are fitted with a small pico projector that projects animated loops from various SEAT members.